Empowering Seniors 2017 – Sponsorship & Exhibitor Registration Now Open for October 6, 2017! 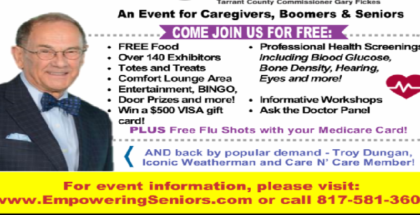 Please Join Us For Our 9th Annual Empowering Seniors Health & Lifestyle Expo! October 6, 2017 – 9:00 a.m. to 2:00 p.m.